Capabilities around interoperability have been the hardest area for hospitals to adopt in the push to value-based care, according to a new survey of hospital leaders. Only 33% of hospital leaders reported their facility was highly capable of interoperability even though 98% said it was either a "highly" important or "extremely" important asset in the move to value-based payment in the next three years, a survey released Tuesday from the Healthcare Financial Management Association and sponsored by Humana found. Interoperability, which is the ability to aggregate and share clinical information across different networks of hospitals and physician practices, is an important tool in the transition to value as data becomes central to track success in payment models, said Mike Funk, vice president of Humana's office of the chief medical officer. "In order to continue to advance in the value-based continuum we are going to need more interoperability across healthcare entities," he said. "We have got inconsistencies across operating systems, and there is a need to coalesce around this." Humana currently helps providers improve interoperability by sharing clinical data with them, Funk said. But he called struggles to achieve interoperability a "big issue" for the industry. The desire for hospitals to achieve interoperability is relatively new but "today the game has changed" because of value-based payment arrangements, said François de Brantes, vice president and director of the Center for Value in Health Care. "Hospitals have to collaborate with physicians and share data in order to reduce costs under APMs," he said. 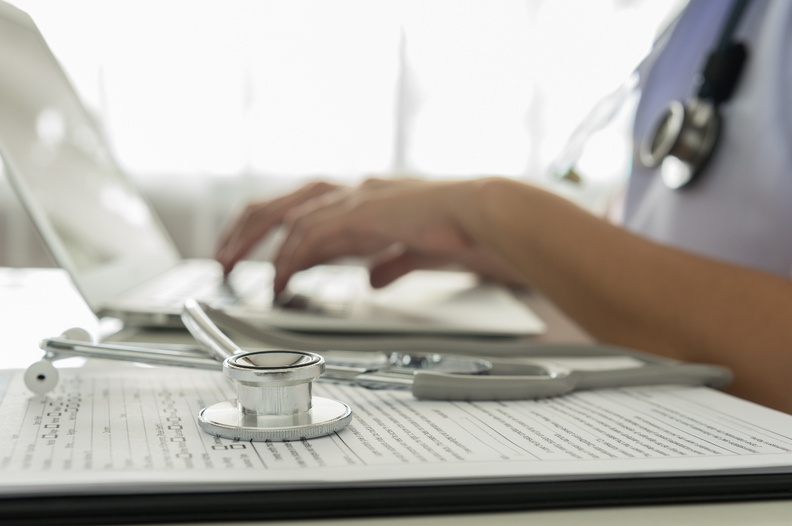 "The good news is that there's a national mandate to get EMRs to share data and a lot of organizations are working on it, so it will happen because the customers of the EMRs—hospitals and physician organizations—are asking for it." In the survey, hospitals reported that the percentage of their payments from commercial payers using value-based arrangements has doubled since 2015 to 24% in 2017. However, this pace is slower than projections of 50% by 2018. Of those results, Funk said, "I'm less concerned about quickly we move … I think the train has left the station—we are moving toward value-based care. It's more about making sure our providers are well-equipped" for the transition. The ability for hospitals to be financially successful in value-based payment arrangements is improving, according to the survey. About 70% of hospital leaders said they have achieved favorable financial results from such payment programs and 47% said physicians will receive a neutral or small positive payment adjustment under MIPS. "As we progress along the journey, physicians are beginning to see some of the rewards and benefits," Funk said. The survey, conducted in September 2017, included responses from 117 senior financial executives. Roughly 74% were financial executives like chief financial officers while 26% were directors of finance.